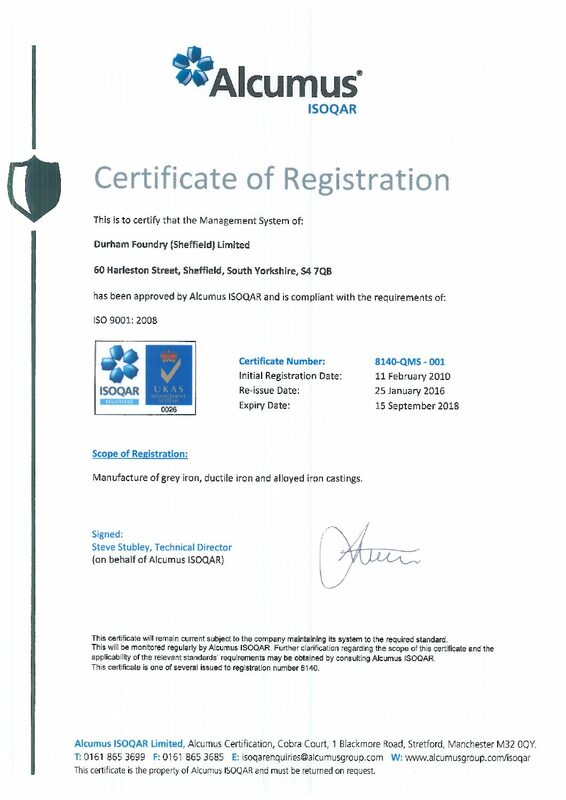 In late 2009, Durham Foundry took the decision to work towards external accreditation to an ISO 9001 Quality Management System and an ISO 14001 Environmental Management System. We had been thinking about this for a year or so prior to making the decision, the tipping point being a phone call from the Manufacturing Advisory Service who were offering grant funding towards the implementation of the two standards. Using this funding, in partnership with a specialist consultant, Craig Smith of PDA Consultants, we implemented ISO 9001 first, gaining accreditation through ISOQAR Ltd as our external assessor on 11th February 2010. 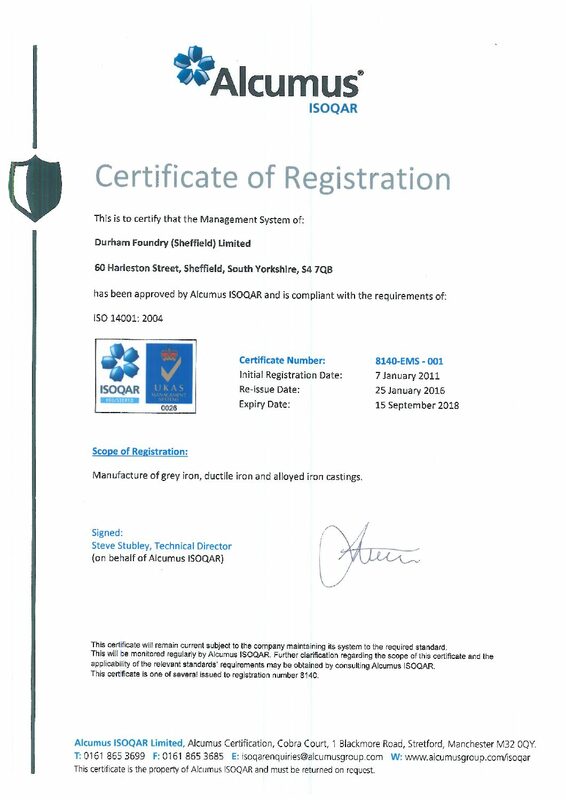 The work to implement ISO 14001 followed quickly and we gained accreditation, again through ISOQAR, on 7th January 2011. Both these management systems are now firmly embedded in the day to day running of Durham Foundry and form a basis for much of the way we do business. They have already proved their worth by opening doors into potential customers that previously we would not have been able to approach and some of the projects that have been introduced as part of the continuous improvement plans that are central to the standards have shown good financial returns. Copies of our Certificates of Registration can be downloaded here. The links that follow are to the organisations that have helped us down the road to accreditation.